What is the Government of Canada about? How should the brochure for the government organization look? 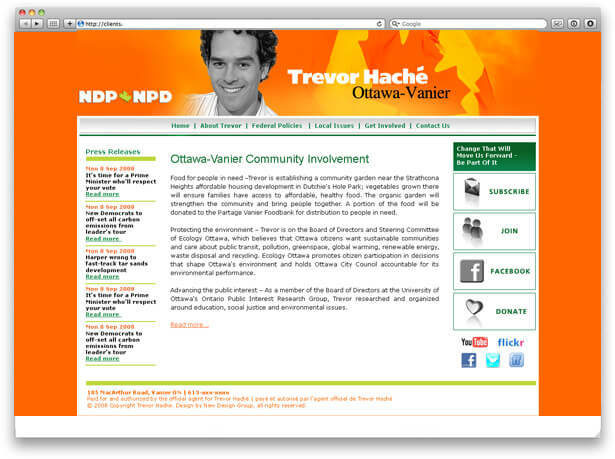 Along with adhering to the strong branding guidelines of corresponding federal or provincial ministries or departments, the graphic designer for the government organization has to incorporate the diversification and multiculturalism ideas throughout all of the design materials they are working on. The choice of photography and illustration images is crucial for government materials. NewDesignGroup graphic and web designers have extensive experience designing brochures and campaign materials for the Government of Ontario. We have designed and produced a number of brochures for Smoke Free Ontario and Ministry of Health Ontario. We have experience working on graphic design projects with government structures across the globe such as Russia, Cuba and Government of Trinidad. 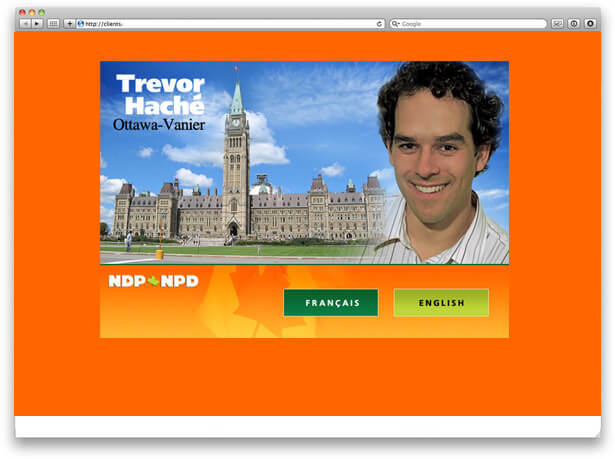 We also designed the website for an MP from the NDP Party, Trevor Hache.